The Ho Chi Minh City People’s Committee has submitted for Government approval a list of priority transportation and sanitation investment projects that will be developed in a Public Private Partnership (PPP) format between 2016 and 2020. All eligible projects will have a combined investment of about VND137 trillion (US$6.1 billion), of which VND 38 trillion ($1.69 billion) is expected to come from the State Budget. 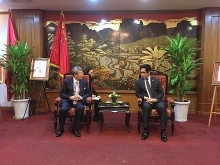 Top priority will be by the Ministry of Planning and Investment to the following projects: Monorail line No 3 running from the Phan Van Tri – Nguyen Oanh crossroad (in Go Vap District) through Quang Trung Software Park to Tan Chanh Hiep in District 12 whose costs are estimated at VND8.4 trillion (US$376 million); extension of Highway No.22 (also called Trans-Asia Highway); construction of overhead road No.5 along the Belt Road No 2. 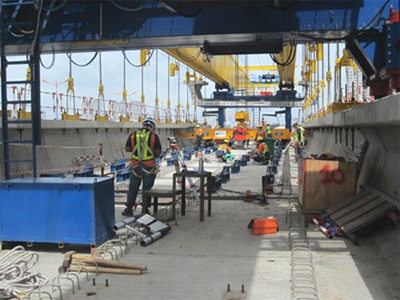 At present, the city is developing five major infrastructure projects with a total investment capital of VND111 trillion ($4.93 billion), including VND91.4 trillion raised from Official Development Association (ODA) sources. The remainder comes from the city’s State Budget. 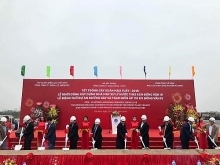 Among them are the first metro-Line No.1 that will connect the Ben Thanh Market and the Suoi Tien Park with costs estimated at VND47.3 trillion; the second metro-Line No.2 that links the Ben Thanh Market in District 1 to the Tham Luong Station in District 12 which has a total investment capital of VND26.1 trillion. The owner of these two projects is the city’s Urban Railway Management Board. Other projects are the VND11.1 trillion second phase of the HCMC Environmental Sanitation Project which is owned by the Managing Board of Environmental Sanitation Project; and the East-West Highway with a total investment capital of VND14.8 trillion being developed by the HCM City Managing Board of Urban Traffic Project Construction. The last project is the development of phase 3 of the project to improve the water environment and control floods in the basin of Tau Hu-Ben Nghe-Doi-Te canals in HCM City. Total cost for the project is VND11.3 trillion also invested by the Managing Board of Urban Traffic Project Construction./.